Years end is about reflection and the New Year about welcoming. There is no more self-scolding about what I could have done, and no more resolutions about what I will do. There are only possibilities arising from what has been and what can be, life-enriching snippets that bring me into the present. I have always beat myself up for not writing more, especially as December progresses toward the first day of January. I tell myself nasty lies that elicit guilt for not doing. I would be a successful author today if I had finished writing that novel instead of allowing 365 days of dust to gather on my hard drive, or invited those characters invading my head-space to a robust life on the pages of a short story. Oh, if only I had queried that article on world views in a small community, I would now be a big-name journalist. If only, if only is such a self-debilitating disease, along with should’ve, would’ve, could’ve. Yes, I scold myself for neglecting the things that I was not ready to do and create more excuses for me to wallow in self-pity and guilt. After all, if I had been ready to finish that novel or write that short story, they would be done by now. This ghost wants me to show me all my failures in a light where nothing outside of what I should’ve done looks good. Each year I make resolutions to get stuff done. I make a pact with myself to finish that novel this year that I did not complete last year, to write more short stories, to start being this and stop being that, to start doing this and stop doing that, and to become an all-around better person. Yes, I resolve in the New Year to become a different person, so much so that not even I might recognize myself! Well, the truth is that resolutions are just mumbo-jumbo derived from the guilt of letting another year go by without working on the projects that burn in my soul but somehow never get done. Resolutions are a by-product of disappointment over my character traits that lead me down roads that are not healthy for me, so I tell myself that it’s time to start taking a different road. To make a long story short, the ghost of resolutions future wants to lead me into the land of unrealistic expectations. Now that I am in present-day 2019, I can clearly see how I have set myself up for failure by allowing the Ghost of Should’ve Done Past and the Ghost of Resolutions Future to rule my life. There is no power in beating myself for what I have not done or in making that wicked list of resolutions. The Angel of Perfect Present has clearly shown me that resolutions have no solid foundations, therefore making them pre-meditated disappointments. The Angel of Perfect Present teaches me that everything I do must be in the moment, in the here and now. If I am truly serious about picking up old projects or starting new ones, I must take the first step, and followed by a second step, and continue taking those steps down that winding path with plenty of forks in the road until I arrive at my desired destination. Now, destination does not always mean a completed project, but perhaps the building of smaller parts of a puzzle until the picture is complete. This can take an hour, a week, sometimes a year or more. In fact, it takes however long it takes! In the past I have limited resolutions to fiction writing, all the while beating myself up for not getting those words on paper. Berating myself for not realizing how my characters and what they want. It’s all this negativity that I have allowed to stand in my way of realizing my accomplishments. In fact, if I take a good hard look at my life’s panorama, I write just about every single day in my work as a paralegal. A big part of that life is taking facts of cases and putting them into…what? A factual story, which in the writing world is called non-fiction. While I love to write about cases, I admit I am motivated by that paycheck twice a month, and the accolades I receive when I do a good job. So, now I’m back to the fact that I would love to complete my novel as well as write more short stories. Well, this requires me to come up with a plan, or a commitment to write so many words or spend a half-hour or an hour working on my novel. I even have the option to commit myself to writing two or three times a week, or every other day, whatever works for me. The point being, until I take that first action step (which I have not), this wanting, if you will, is nothing but a resolution either being tossed around or waiting to be executed into a solid plan. Maybe instead of ending this article by saying, “Yep, that’s it, the plan is in place,” perhaps I will make a commitment to write on my blog next Saturday. If I put something on my calendar, I am committed. So, there……I have entered my next blog to be written on Saturday, January 19, 2019, at 8 a.m. It doesn’t have to be fancy, it just needs to be. Remember, no more resolutions, just commitments. I had been working on an article about how to successfully move your business from one County to another, but this has been put on hold due to the fires in the county I moved from (Sonoma) and a fire in the county I moved to (Lake). Sunday, October 8, 2017, the wind was fierce and concerning. Later that evening as I worked at my computer, an alert came across my phone regarding a fire near Calistoga resulting in road closures to Sonoma County. I became worried because the next day Don would travel from our home in Clearlake Park to the Petaluma Creamery in Petaluma to pick up cheese and then deliver it to various places around Lake County. Since he was already asleep, I left him a note on the kitchen counter, saying he might want to take a different route due to a fire. After going to bed late on Sunday evening, a popping woke me. Since the wind was blowing harder now, I thought nothing worse had happened than the electricity going out and had quickly fallen back to sleep. At about 2 a.m. Don woke me and said something was going on, the electricity wasn’t working, and that we needed to get out now. At about the same time, a mandatory evacuation order came over his phone with direction to go to a designated shelter. In the dark, we grabbed a few things and tried to capture the cats, but they became agitated and would not let us near them. We had no choice but to leave them behind and hope for the best. When we stepped outside, the night sky was bright with flames from Sulphur Bank Road in a neighboring village, Clearlake Oaks. Smoke hung heavy, making it difficult to breathe. In what is normally a quiet area, a flurry of activity was taking place: fire trucks with flashing lights were hurrying toward the fire and cars with headlights like fear-stricken eyes were quickly moving the other way down the hill. As Don and I drove the 20 minutes to the evacuation center, all I could think about was how close the flames appeared to be to our home. I cried because our precious fur babies were still in the house. My worst fear was that, being inside cats, they would not be able to escape if our house caught on fire. If they did escape I hoped they would be able to survive. When we arrived at the evacuation center, rows of cots with pillows and blankets filled one side of the large building. People milled around in a daze, while other lay on the cots trying to sleep. Being pushed from our home and at the evacuation center was surreal and scary, as if we were living a Stephen King horror novel. When we finally settled in with coffee at one of the tables, we all attempted to smooth over a tough situation with conversation about everyday life sprinkled with our early-morning evacuation experiences. While still at the evacuation center, I went looking online for information about the Sulphur fire—the devil that had chased us from our home—and read that Santa Rosa was burning up too. I discovered that friends had been evacuated from various parts of the city, and later learned that many had lost their homes. With barely time to get away from approaching flames, our family members lost everything they owned. While Don and I were blessed enough to stay with a friend, and to have other offers shelter, the evacuation centers quickly filled up. In Lake County, during the two days we were not allowed back home, strangers embraced and shared their stories and tearfully talked about the continuing destruction in Santa Rosa. Community came together in loving and compassionate ways that we often forget about in ordinary life. The evacuation in Clearlake Park was lifted on Tuesday night of that same week. Because it was dark and the electricity was not yet back on, we returned home on Wednesday morning. I thought coming back would feel a little normal, but it did not. The air smelled burnt and smoke billowed from the sky in the distance. Our cats gazed at us, as if to ask where we’d been for two days. It took several days for me to adjust before realizing we were safe and that the danger of re-evacuation had passed. Now, two weeks later, the northern California fires- Lake, Mendocino, Napa, and Sonoma-have all reached almost full containment. In the Lake County fire there were 545 structures destroyed and 43 structures damaged. In the combined Sonoma County, Napa County, and Mendocino County fires 42 civilians and one private tender operator. Entire neighborhoods in Santa Rosa are devastated and people’s lives were turned upside down in a matter of hours. In Santa Rosa alone, approximately 5,300 structures were destroyed. In the combined fires of Lake, Sonoma, Mendocino and Napa counties, about 9,000 structures are demolished. The aftermath of the devastation is just as staggering as when the fires ravaged through entire communities. Now, some people will stay and rebuild, but others will move on to start new lives elsewhere. In this, my hope is that all paths will lead to a place of healing. The many years I worked full-time it was easy scheduling time to write. I would pencil in my lunch break or the few hours before bed, and I would tell myself that I could put in some extra writing hours on the weekends too. It took me awhile to learn that scheduling time to write and the act of writing were two different things, especially with a stressful job that required periodic overtime. I often ended up relaxing at lunch instead of writing, and on most overtime days I was too tired to fire up my computer in the evening. Sometimes I could get some quality writing time in on the weekends, but that was only if I was not suffering from low motivation after working all week. Because I had created poor time management habits, and I was allowing myself to become stressed and overtired in my job, my writing suffered and I eventually shelved my works in progress for extended periods of time. In July of 2017 everything changed. I got laid off from my full-time job and found myself with nothing but time on my hands. While applying for unemployment, looking for work, setting up my own business as a notary public and loan signing agent (which included building a website, researching the market, and doing online marketing), getting my condo ready for rental, and preparing for a long-planned move to another county, I suddenly found myself inundated with work. This thing is that I’m still ultra-busy dealing with being laid off and moving, but I’m sitting here right now writing this article for my blog. The difference between then and now is that my writing no longer sits in the back seat. I have chosen to put my writing in the passenger with my notary and signing agent work because I love them both so much. My attitude about how to manage my time has also changed. I don’t have to make time for the things I love to do, I just need to utilize the time that I already have. The reason that I could not see my writing opportunities before is because I was allowing stress and dissatisfaction to take over my life. Things are looking better for me every day. I have been doing temporary work when available and landing some notary and signing gigs. And, I’m still finding time to write. I have been earning a little money from writing content and pitching to companies that need writers. Tomorrow I will work on a guest article for a writing friend’s blog, and I will begin working on an article I have been hired to write for a magazine. After the gym, I will fix my oatmeal with fruit, make my mocha, and work on these articles while I eat. Oh, and I’m back at working on my first novel again-making changes and killing little darlings, as the saying goes. Every day is a new day and reveals how much time I will have to write—and, there is always time. When life throws you a big fat sock-her (or sock-him) ball…. But stay in the game. Seriously, we have all experienced a fast-moving curve ball that we saw from a mile away, or that we did not expect at all. It’s our attitude that will break our spirit or carry us through a difficult time. When a curve ball comes our way, we have two basic options: we can let it slam us to the ground, or we can duck and use the opportunity to learn. In the business world, a speeding curve ball can actually be a life-saver. Read further to find out what I’m talking about. Whether or not you saw the sock-her ball coming, it’s important to assess the situation and look at your part. For example, if you lost a client and are not sure why, think about your working relationship. Were you and the client not a good fit, but you continued the relationship anyway because you needed the money? Or, did you make some big mistakes, only to realize that the project was out of your league? It does no good to point your finger at whomever threw that curve ball. Assess the situation through your own eyes and learn from it so that you may better service your current and future clients. After you have made that lemonade and downed about half of it, take a look at the glass. Is it half full or half empty? If you see the glass as half empty, you are focusing on what you do not have. On the other hand, perceiving the glass as half full means you are fully aware of what you do have. Focus on what you have gained from the arrival of the curve ball, not on what you have lost. For example, you may have lost a client that was not a good fit but you now have room to take on some new projects. Or, perhaps you made some mistakes with that huge project, but now you know how to change your behavior to produce a better work project. Now that you have figured out your part in the situation and you see a half-full glass of lemonade, what’s next? Vow never to give up. Stay in the game and up the ante. For example, before considering future clients, take time to assess whether you are a good fit. The quality of a working relationship is far more important than money. If your work product suffered, explore ways to improve performance for future projects. For example, if you were coming up on a deadline and cut corners instead of asking for an extension, learn how to manage you time better. If your work had too many errors, take steps to improve. So, whether life has thrown you a sock-her or sock-him ball, the important thing is to remember, as my mother used to say……. It’s not the end of the world. This too shall pass. When you’re a kid and you do something you’re not supposed to and try to hide it from the adults, the snowball effect can take over pretty quickly and get you into trouble. I’ve been there, you’ve been there. We’ve all been there before. When you’re an adult trying to start a business, the snowball effect is exactly what you need. You start with small steps and then let the process take over. I know…I’m there right now. How does this whole snowball effect happen? First, you decide what kind of business you want and start taking actions to reach your goal, kind of like when you were a tot learning how to press snow together and shape it into something. 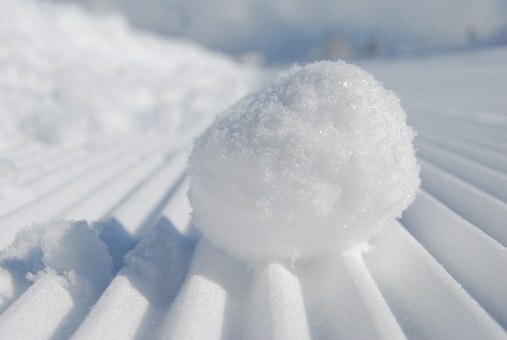 After awhile of trying to shape the snow, you came up with your first snowball. With every move you make toward your goal, the snowball gets bigger and bigger, until you have something tangible to keep building on. What kind of actions are essential to creating your business? There are plenty of business templates on the web that you can use. The important thing is to get your business model down on paper so your goals are clear. If you will be creating more than one business to bring in income, it’s a good idea to write plans for each one. Buying a domain name will be one of the best things you do for yourself. You can purchase a domain name for as little as $10 a year. When you choose your domain name, think about the type of business you plan on running. For example, if you’re a writer, you will want to choose a domain name that reflects that. Or, if you are opening a baby store, choose a domain name that clearly tells the world that you will sell baby items. Once you have purchased your domain name, there are numerous places on the internet where you can find web hosting for reasonable prices. While I prefer WordPress because it’s easy to use, you need to find one that works for you. It’s also a good idea to link your website to your social media sites such as Facebook, LinkedIn, Twitter, Pinterest, or any other social media you participate in. Research everything you can regarding the type of business you want to open. Look both locally and globally for educational materials relating to your field. You Tube is excellent for finding instruction videos, as are online professional organizations. Check out companies and organizations in your area so that you can build relationships that will help you build your business. Once your business plan is set and you have your website up and running, and you have educated yourself enough on business essentials, it’s time to start marketing. The best way to do this is to make cold calls, send cold emails, and show up at local venues with your pitch and business card. For example, if you want to write articles why not market yourself to local newspapers and magazines? If you’re into retail, sign up with the Chamber of Commerce and attend meetings. Take all necessary actions to promote yourself. Once your business starts to flourish, or the snowball starts growing eyes and a carrot nose, you will need to keep taking actions steps. It will do you no good to just sit back and expect things to keep moving forward by themselves. All business have peak seasons and slow times. Always use the slower times to do more marketing. Once you have established professional relationships that work for you, keep flourishing them. Send occasional notes, or even create a newsletter to keep clients informed and remembering you. Work on creating new relationships at every turn so that clients start coming to you. You’ve got this. Keep building that snowball and trust the process. I am as much an avid runner as I am a writer. If I could write while running I would do it. My goal is to turn the little bit of paid freelancing I do now into a lucrative career. Well, today as I was on my run, I thought about what my next steps are in trying to grow my writing business. I have read blogs by successful writers, and I have watched the videos on creating business plans. I have even read a terrific book or two on freelance writing. I’m a big planner, so I have put a lot of effort into working toward that milestone of taking my writing from making just a little money on the side to making enough to survive on. Somewhere in this 40-minute run, I thought about how launching a writing career is similar to the process of running. Read on to see what I’m talking About. With running, you need to start out slow, especially if you have never engaged in this activity, or if you have run very little. You might walk for ten minutes, run for five, and then increase your time until you have run a mile, or two, or even more. If start out too fast, you could injure yourself, but going too slow could bog down your efforts and make you feel like you’re not getting anywhere. With launching a writing career, you also need to take your time. Don’t just quit your day job into trying to make mega bucks. It takes time to build up any career. You need to market and build up a portfolio. Test the writing waters on the weekends or evenings while you still have a job. Give yourself time to work toward your goal of becoming an accomplished writer. You can run anywhere–a trail in the park, on paved sidewalks, in the mountains, by the ocean, or even on the treadmill at the gym. You have a choice of what you would like to see when running. There’s little chance of getting bored if you change your running venue often. Scenery is also important when launching your writing business. You can experiment with different types of writing until you find one, or several, that appeal to you. If you think you could never write about business, why not give it a try? Or, if you love writing about animals, send some queries to cat or dog magazines. Diversity is makes the world go around. If you’re a runner, you know how important it is to have the proper tools. Good fitting shoes are a must, as is comfortable running attire. If you have long hair, you need some good hairbands, and maybe a hat. Some runners even go as far as using heart rate monitors to track their heartbeat and calories they have burned. Think about this in terms of running a business. The right tools are a must, especially a computer setup, the internet, a word processing program and email. Another essential business tool is a website to let the world know you are available for assignments. Finally, you need to acquire the skill of cold queries to places you want to write for, and you need to consistently market yourself as a freelance writer. Running can be extremely difficult at first, but it becomes easier as you build up stamina and learn the ropes. It is also no easier starting up a freelance writing business, but I expect it becomes easier as you become experienced and start landing writing projects. In other words, keep working toward your goals and don’t give up. When I was a kid and decided I wanted to be a lyricist, I had to be inspired to write a poem or song. Inspiration usually came from pining over my latest crush, or listening to country music songs, or dreaming about being a famous songwriter when I grew up. Most of my poems and lyrics were about love and heartbreak, except for the poem I wrote about my dog, Tippy. I wrote sad poems all through my teen years. I took a break from writing in my twenties, but picked it up again when I was in my thirties and going through a divorce. I often would not write unless I was inspired by my own emotions. However, I was in my mid-thirties when I decided I need to find a way to practice writing discipline. My lessons in discipline started when I signed up for creative writing classes taught by a published author. She told us that to be a writer you must write. We were required to submit 2,000 words each week, I believe, as well as participate in shared critiques of our work with classmates. This new writing routine was no easy task, especially for someone- me- who had spent some many years convinced that inspiration created the writing muse. I learned a lot while taking those writing classes. Inspiration is all in your head. It really is. Saying all those years that I could not write without inspiration was just another way of saying I was undisciplined, or maybe even lazy when it came to my craft. While inspiration can motivate action, it was holding me back because I was allowing myself to write only when I felt like it. The bottom line is if you let that muse lead you, you will not get very much of anything done. There is an old saying that inspiration has paved many roads to hell. In the writing word, inspiration has paved many roads to dead-end streets with garbage cans full of words that have been thrown away. Treat discipline as a verb. This means taking action to write in a way to ensure that your goals are being met. For example, if you plan is to submit stories to magazines, you need to sit down and write stories. If you want to find work as a non-fiction writer, you need to find magazines or paid sources to pitch to, and then write those articles. A schedule is essential for a writer. whether it be a half hour in the morning, an hour in the evening, or every ten minutes on the hour throughout the day. Go to your special writing space, shut out all distractions, fire your word processor up and start writing. Just do it. Once you have a schedule down, what are you going to do with all those words you are writing? I suggest creating goals, such as finding homes for the pieces you write. If you pen short stories, why not find magazines that accept your style of writing? Duotrope is a great database to search short story markets. Writer’s Digest offers this list, and The Write Life blog lists 23 quality places to submit stories. If you want make some or all your money from writing, then search out the writer’s job boards for projects that might be a fit for you. ProBlogger, Bloggingpro, and Freelance Writing are three job boards I like really well. Pick projects suitable for you, pitch your skills, and take a chance. You can also find online blogs, publications, or websites that you would like to write for and do cold marketing. If you want to learn more about how to do this, I recommend The Well-Fed Writer (I saw Peter Bowerman speak a few years back, and he knows his stuff) and this blog by Elna Cain. There are many other blogs out there by people who make income from writing. Once you have said goodbye to inspiration, hello to discipline, and created your goals, you need to stick to the plan. This does not mean you have to write every day, or be prepared to write at any given moment. It just means you need to treat writing as if it’s work. If you have a nine-to-five job, then writing time might be a few hours a week, or three or four hours on the weekend. If you work part-time, then your writing time might be four or five hours every day. If you want to make income from writing, you need to make time to market yourself and get the word out about what you do. So, no matter what you writing schedule is, or what you want to do with your writing, the important thing is to stick to the plan and get your writing done! The Signature You Can Depend On!